Ranking Canada's Fastest-Growing Companies by five-year revenue growth, the PROFIT 500 profiles the country's most successful growth companies. 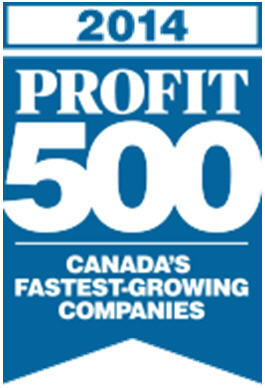 A joint venture between Canada's premier business brands, the PROFIT 500 is published in the July issue of Canadian Business and online at PROFITguide.com. TrainingFolks reported a five-year revenue growth of 157%. TrainingFolks is a global provider of custom eLearning solutions, consulting and contingent workforce services. Over the past 15 years, our team of training consultants, facilitators, project managers and instructional designers has collaborated with Fortune 1000 organizations to implement a world-class adult learning experience with a proven engagement methodology.